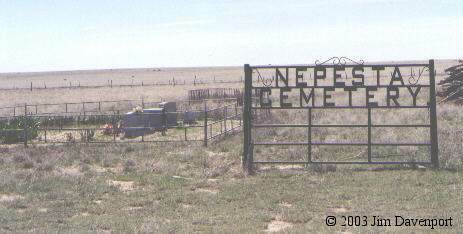 Nepesta Cemetery is all that remains of the stage stop and post office (1876-1929) of the same name. 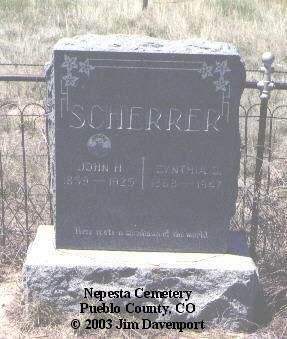 The first know burials were the six Erdman childern, all of whom died from diphtheria in March 1879, but there were probably a few early burials at this location. 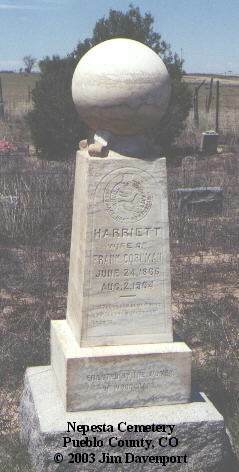 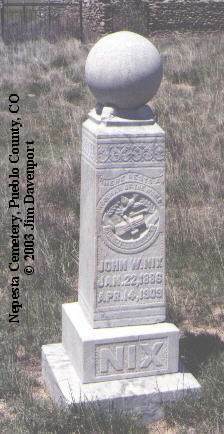 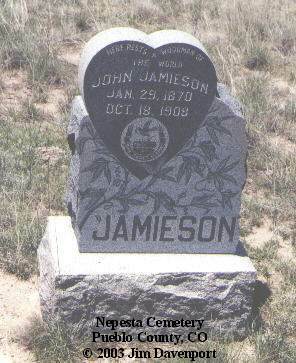 The cemetery is located on US Highway 50 about 25 miles (more or less) east of Pueblo, and sits off the south side of the highway a couple hundred yards or so.